The 2017 Nissan Murano is a mid-size crossover SUV that supplies premium power, family-friendly passenger space, and modern infotainment gear. You'll love its upscale cabin, which delivers high-quality materials and worldly comfort features, including leather upholstery and heated seats. The Murano is also known for its wide-ranging safety gear. With so much high-tech gear to provide protection, you'll enjoy maximum peace of mind. This crossover is big on power, delivering a smooth performance. When it comes to passenger accommodations, the 2017 Nissan Murano provides stunning comfort. Inside, you'll find striking built-in lighting, which gives the cabin a sleek, modern look after dark. The Murano certainly isn't short on luxury, with an incredible supply of leather-covered surfaces. Up front, Nissan's NASA-inspired Zero Gravity seats provide best-in-class comfort, with contours designed to fit your body in the weightlessness of outer space. In back, there's enough space for everyone to enjoy your next cross-country road trip. Behind the rear seats, there are 32.1 cubic feet of cargo space for your daily necessities. Fold down the seats to create 67.0 cubes of maximum cargo space. 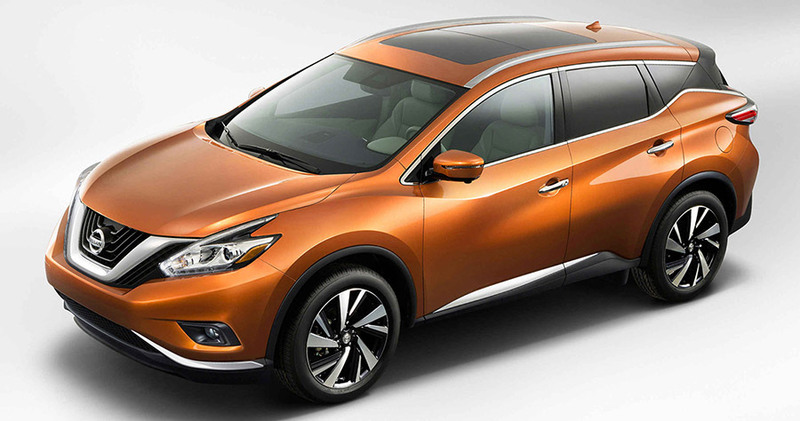 Besides rich modern luxury, the new Nissan Murano is big on tech features. 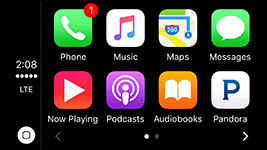 We especially like the central NissanConnect infotainment system, which provides excellent smartphone integration options. It gives you the ability to make hands-free phone calls as well as to access apps like Pandora and Facebook on the central touchscreen. Use the NissanConnect voice controls to browse your phonebook and audio options. You can also access the navigation system with voice controls, which comes in handy when you're stuck in traffic. Thanks to keyless entry and ignition, you'll be ready for action with the touch of a button. The cabin's USB ports make charging devices a snap. The 2017 Nissan Murano provides spectacular safety. The Insurance Institute for Highway Safety named this model a Top Safety Pick+. In addition to winning the IIHS's top score of "Good," the Murano also came away with a rare "Superior" for its frontal collision warning system. When the system senses an oncoming crash, it can automatically apply the brakes to reduce damages. 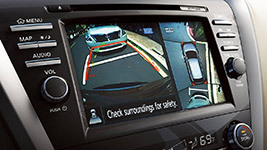 Other driver aids, like the blind-spot monitoring system, actively scan your surroundings and alert you to potential danger. 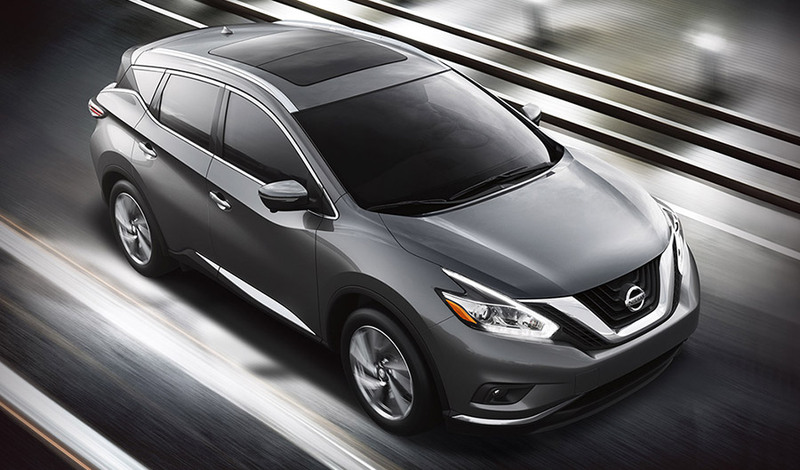 Finally, you'll love how the new Nissan Murano combines abundant speed with rugged utility. Properly equipped, the Murano tows up to 1,500 pounds. It's also a great pick for outdoorsy types, with plenty of cargo space for your bikes and surfboards. On the road, the Murano can really move. It also earns 21 city/28 highway mpg, saving you plenty of money at the pump. The Murano Platinum comes fully loaded with every imaginable comfort and convenience. For starters, its stylish LED headlights alert other drivers to your presence and maximize nighttime visibility. In addition to leather upholstery, heated and ventilated seats enhance comfort in any season. With the panoramic sunroof, your Murano Platinum feels airy and open. The Murano is home to premium materials and soft, supportive seating. Before you back out of tight spaces, check for any obstacles in your path. Smartphone apps display directly on the Murano's central touchscreen. Hit the road with minimal effort. With plenty of elbowroom and rich passenger comfort, the 2017 Nissan Murano is well suited for families and socialites on the go. Inside, you'll find a lot to like. The Murano cabin treats you to high-tech smartphone integration and innovative features like heated and ventilated seating. On the road, the Murano's wide-ranging safety equipment makes you feel well protected. As you cruise around town, you'll appreciate the Murano's composed handling and impressive response time. Take the Murano on a test drive today!